Abstract. Many researchers and journals place a strong emphasis on the sign and statistical significance of effects—but often there is very little emphasis on the substantive and practical significance of the findings. As Long and Freese (2006, Regression Models for Categorical Dependent Variables Using Stata [Stata Press]) show, results can often be made more tangible by computing predicted or expected values for hypothetical or prototypical cases. 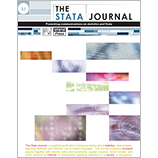 Stata 11 introduced new tools for making such calculations—factor variables and the margins command. These can do most of the things that were previously done by Stata’s own adjust and mfx commands, and much more. Unfortunately, the complexity of the margins syntax, the daunting 50-page reference manual entry that describes it, and a lack of understanding about what margins offers over older commands that have been widely used for years may have dissuaded some researchers from examining how the margins command could benefit them. In this article, therefore, I explain what adjusted predictions and marginal effects are, and how they can contribute to the interpretation of results. I further explain why older commands, like adjust and mfx, can often produce incorrect results, and how factor variables and the margins command can avoid these errors. The relative merits of different methods for setting representative values for variables in the model (marginal effects at the means, average marginal effects, and marginal effects at representative values) are considered. I shows how the marginsplot command (introduced in Stata 12) provides a graphical and often much easier means for presenting and understanding the results from margins, and explain why margins does not present marginal effects for interaction terms.